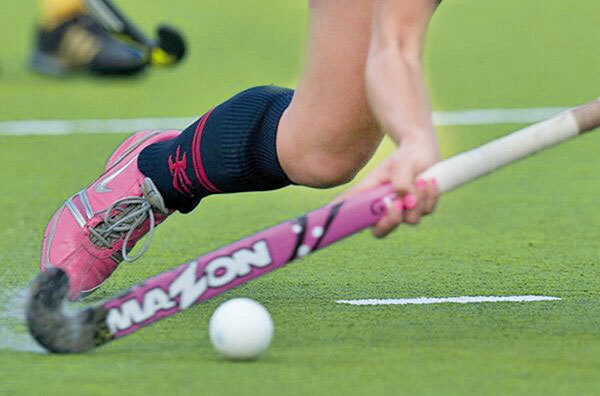 An 18-member strong Sri Lanka women's hockey team will leave for Singapore today to participate in the first round of the World League Hockey Championship which will be played in Singapore from April 9 to 20. Sri Lanka team will be led by former Seetha Devi Balika Vidyalaya and Sri Lanka Navy centre half Madura Dharmaratne and goal keeper Jeewanthi Keerthiratne also from Sri Lanka Navy and Seetha Devi Balika Vidyalaya will be the deputy captain. Madura Dharmaratne is an immensely talented player with exceptional skills equally good in attack and defence and is a good feeder of the ball to the forwards and the two flankers. Madura Dharmaratne captained the Sri Lanka women's team to the recently concluded South Asian Games played in India and brought a silver medal to the country. Jeewanthi Keerthiratne went as deputy skipper on that tour. She started her career in school as a centre forward at senior level and was played as a 'stop gap’ goal keeper in a match by a quirk of fate which found her a permanent place in the national side as a goal keeper where she has preformed exceptionally well. This tour is a very important one for Sri Lank as the first two teams will qualify to play in the second round of the World League Championship 2016. The other participating countries are Singapore, Hong Kong, Thailand, Kazakhstan, Cambodia and Brunei. The Sri Lanka women's team is virtually a Defence Services side with most of them coming from either Sri Lanka Navy or Sri Lanka Air Force. Eight of then are from Sri Lanka Navy and six from the Sri Lanka Air Force, one from Sri Lanka Army, two from State Services and the ‘odd girl out’ teenaged schoolgirl and goal keeper Sakunthala Illeperuma from Seetha Devi Balika Vidyalaya. Thus there is no representative from the private sector. The composition of team also shows that 16 of the players are Central Province either Kandy or Matale, one from Colombo and another from Galle. Eleven of the stickers are old girls of Seetha Devi Balika Vidyalaya who learnt their hockey from coach M.A. M. Ashroof. Two school girls Nawanjana Ekanayake and Sandaruwani Jayaratne both from Sangamittha Girls College, Matale both very promising players have pulled out from the national team to study for their Advance Level Examinations and they will be replaced by Dharshani Herath and Chairman Jones who kept out of the game last year as she was in family's way. Both were stand by's for the last tour. There are tow sisters in the side Pradeepa Nilmini Nandeasena and Geethika Damayanthi Nandasena from Sri Lanka navy. Sri Lanka Ladies team has not seen many sisters playing for them in the past and not many are around at present. The team has also included two former national captians in Chathurika Wijesuriya and Madhushani Yananetti. The tour fixtures are as follows 9th Vs Singapore. 10th Vs Hokgkong, 11th Vs Thailand, 13th Vs Kazakhastan, 14th Vs Brunei, 15th Vs Cambodia. The Sri Lankans will be able to get the better of Cambodia and Brunei but will have a tough fight in their hands in other matches, especially against India and Japan. Sports Administrative Officer of Kandy Municipal Council G.G. Dharmaratne will be the coach of the side. Madura Dharmaratne (Captain), Jeewanthika Keerthiratne (Vice Captian), Madhushani Jayanetti, Chathurika Wijesuriya, Geethani Abeyratne, Darshani Herath, Pradeepa Nandasena, Geethika Nandasena (All from Sri Lanka Navy), Harshani Wickremasinghe, Charmaine Jones, Thusanthika Themiyadasa, Imasha Weerabahu, Chathurika Preamsiri, Shanika Prabashini (All from Sri Lanka Air Foce), Buddhika Gunaratne (Ministry of Sports), Yamuna Wijesuriya (Sugathadasa Sports Stadium Complex), Upeksha Prathana (Sri Lanka Army), Sakunthala Illeperuma (Seetha Devi BV), Coach G.G. Dharmaratne.